A mod aircraft called Comet (SSTO). Built with 78 of the finest parts, its root part is mk2Cockpit.Inline. It’s a pig to get into orbit, probably can’t take any cargo and has no RCS at all. 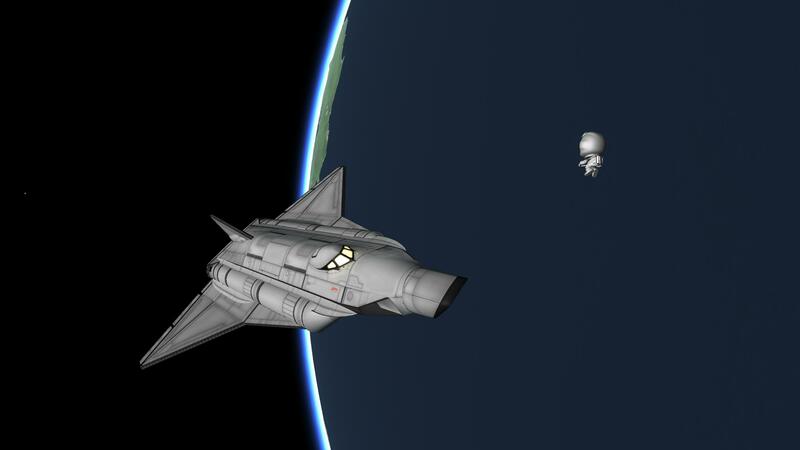 But it’s an orbit-capable spaceplane in 1.0.2 and that’s the most important thing. Built and flown with FAR 0.15.1 Fanno , also uses Ven’s Stock Part Revamp.